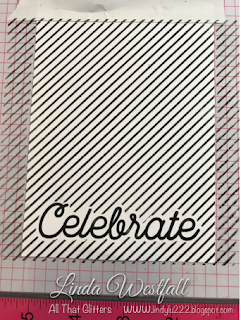 I have created my card by stamping "Celebrate" from My Favorite Things, Big Birthday Wishes stamp set onto the front of a card base made from Nina Solar White cardstock and also onto a piece of post in masking tape. 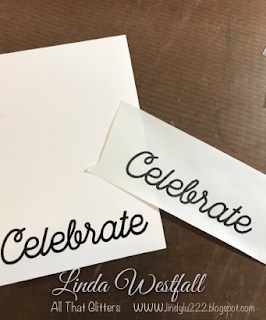 Then I fussy cut the celebrate out and laid it on the panel and placed it into my Misti. 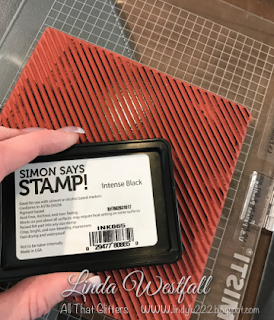 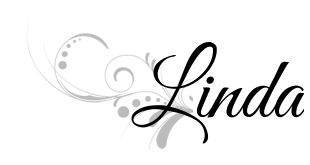 I then stamped the Diagonal Stripe background onto the front of the card. 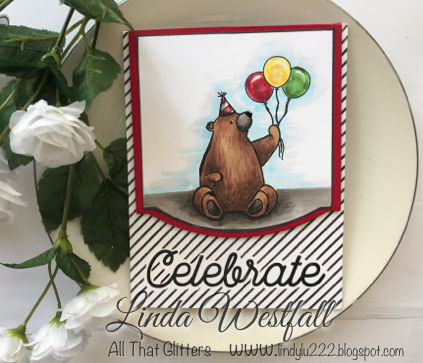 I stamped the bear from My Favorite Things, Birthday Bears on another piece of cardstock and masked off his arm. Then I stamped three balloons and a party hat from the same set and colored them with Copic markers. 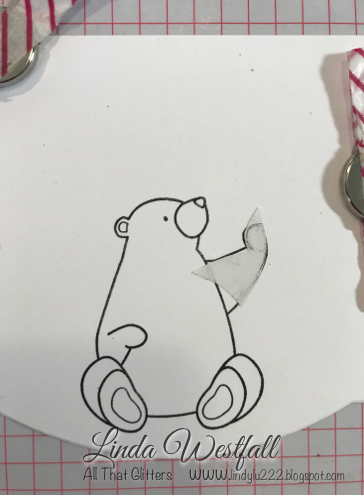 I die cut the panel with the bear on it with the Elegant Rectangle STAX dies. Then I cut one a size larger from red cardstock. 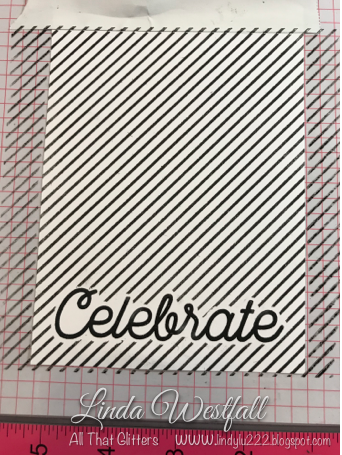 I adhered them to the top of the card and that completes this one. Hope you have a fantastic day, and are inspired to go create something as well.